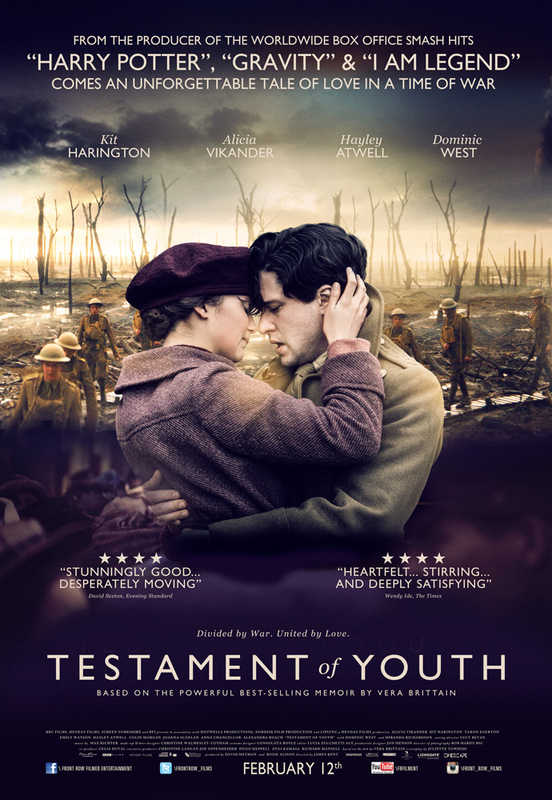 With a beautifully modulated performance from Alicia Vikander (Ex Machina, A Royal Affair) as Vera Brittain and ably supported by a bevy of young actors, including Kit Harrington (Jon Snow in Game of Thrones) and Taron Egerton (Kingsman: The Secret Service), Testament of Youth is well-crafted but just fails to avoid the pitfalls of a worthy but slightly dull heritage drama. Based on the seminal anti-war novel of the same name by Brittain, a desperate sadness pervades Testament of Youth. The film opens in the summer of 1914 and the carefree, middle-class behaviour of Vera Brittain, her beloved brother, Edward (Egerton) and their friends is about to change forever. As bleak a story as the Arctic coastal town in which it takes place. Leviathan, co-written and directed by Andrey Zvyagintsev (the equally bleak and pessimistic Elena), is a devastating, coruscating political allegory of modern day Russia as Kolya attempts to fight the system and the corrupt local mayor to save his home and livelihood. 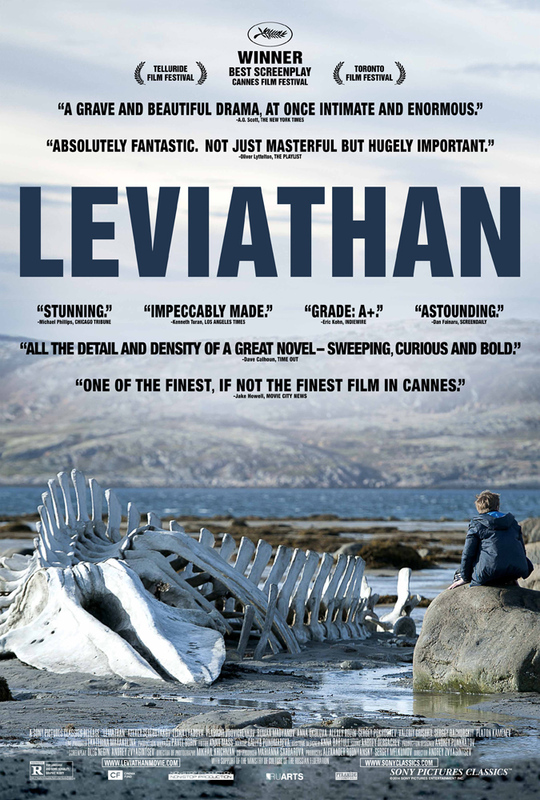 Nominated for the Best Foreign Language Oscar earlier this year (and winner of the same category at the Golden Globes), Leviathan is a slow-burner full of drama and suspense. Quite simply – stunning. 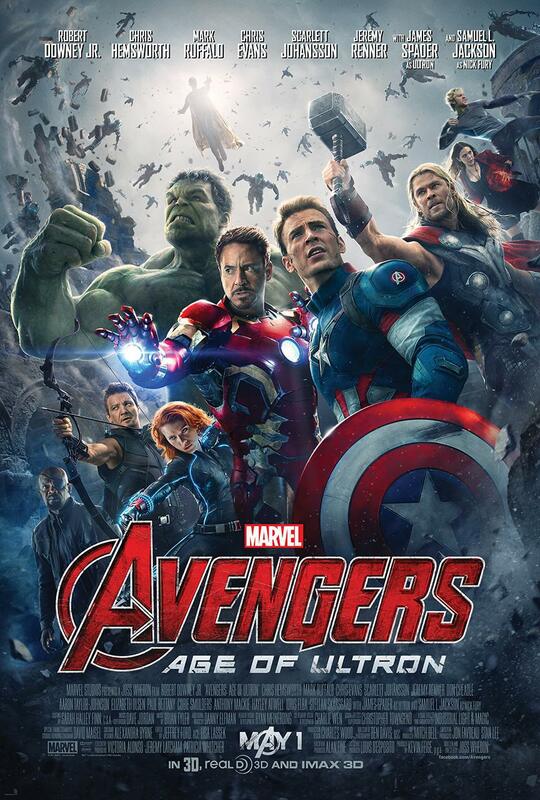 Avengers: Age of Ultron is exactly what you would expect in it’s sequel to the hugely successful first outing – The Avengers save the world in an all-action feature. Only this time round, there’s limited entertainment – less humour from Ironman/Tony Starck (Robert Downey Jnr); solo film heroes Ironman, Thor and Captain America are less evident with more focus on the ‘lesser’ characters of Black Widow (Scarlet Johansson) & Hawkeye (Jeremy Renner) (in readiness for their own spin-offs?) and introduction of new ones. It’ll likely keep the fans happy but hardly likely to win new ones for the franchise – it’s just a little too up and down on the interest scale. Hardly original. First came Welcome to the Sticks back in 2008 which became the biggest locally produced film in history at the French box-office. The formula was quickly transferred to Italy and Welcome to the South also translated into mega box-office (as well as a successful sequel, Welcome to the North). 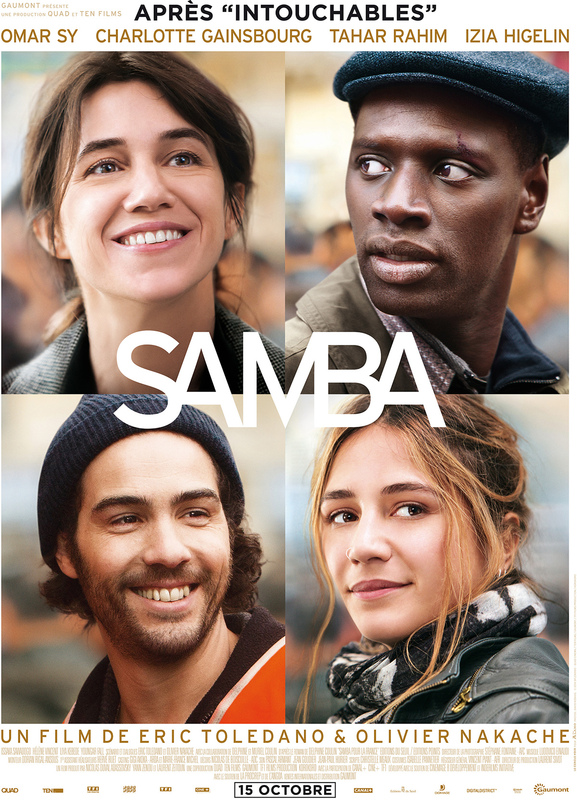 Not to be left behind, Spain and Spanish Affair wracked up the country’s most successful local film in history. In Spanish Affair, the ‘north’ is represented by the tough, separatist Basques of Bilbao who speak a wholly different Spanish to, according to the Basques, the fey Andalusians of Sevilla. So a love affair between the Real Betis supporting, flamenco loving Rafa and Amaia is totally out of the question – particularly to the independent, recently jilted-at-the-aisle Amaia. Result – a string of misunderstandings, misconceptions and lightweight stereotypes. It has its charm and occasional moments of humour but generally Spanish Affair is just a little too corny and stereotypical. A rooftop café in Lahore overlooking the bazaar, drinking tea. Western-educated Changez talks to an unnamed American, telling him of his life story – a scholarship to Princeton, top of his class, snapped up by an elite global valuation firm. There appear to be no limits for the young, good-looking Pakistani. He thrives on the pressures of expectation and a potential relationship with the beautiful Erica promises the opening of doors into Manhattan society. But in the aftermath of September 11, Changez’s world exponentially changes – and so does he. His relationship with the mentally unbalanced Erica shifts, his relationship with his work colleagues and his beloved America shifts, his relationship with his family shifts. And, ultimately, his relationship with himself radically shifts. Talking to the stranger (The Reluctant Fundamentalist is, in reality, a monologue), Changez voices slow but certain changes in his attitude, initially as a direct response to the changed attitudes towards him. Like the slow reveal of his story as dusk settles over the city and the undercurrent of threat pervades the night air (just who is the unnamed American? ), Changez’s disillusionment came about in a nuanced, progressive manner. Now an enemy of his adopted country, there’s no political or religious grandising. That the story is a political allegory of the conflict of the two cultures and the iniquity of power and status, there’s no doubt. The secular Changez is the voice of moderation, a fundamentalist in the most fundamental way. But he is also looking for his own identity – he is a Pakistani angry with his country’s reliance on the US but also angry with Pakistani global politics. 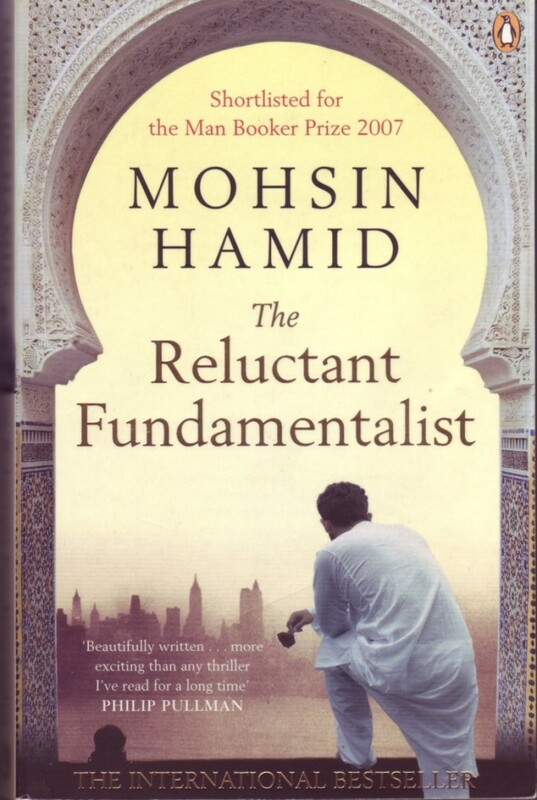 The Reluctant Fundamentalist is an extraordinary achievement – a highly personal story yet infused with complex issues of nationhood, capitalism, elitism. Published in 2007, it is as topical today as then. Shortlisted for the Man Booker, it lost out (somewhat surprisingly, selected as it was by The Guardian as one of the books that defined the decade) to Anne Enright’s The Gathering. Disappointing. Personally, I love the work of writer/director Paul Thomas Anderson (There Will Be Blood, Boogie Nights, Magnolia) but this offbeat, somewhat incoherent stoner of a film has its moments, but it has significantly too many misses. In words, the original Thomas Pynchon novel was riotous and anarchic. Translating this to the screen has resulted in something of a confused mess. 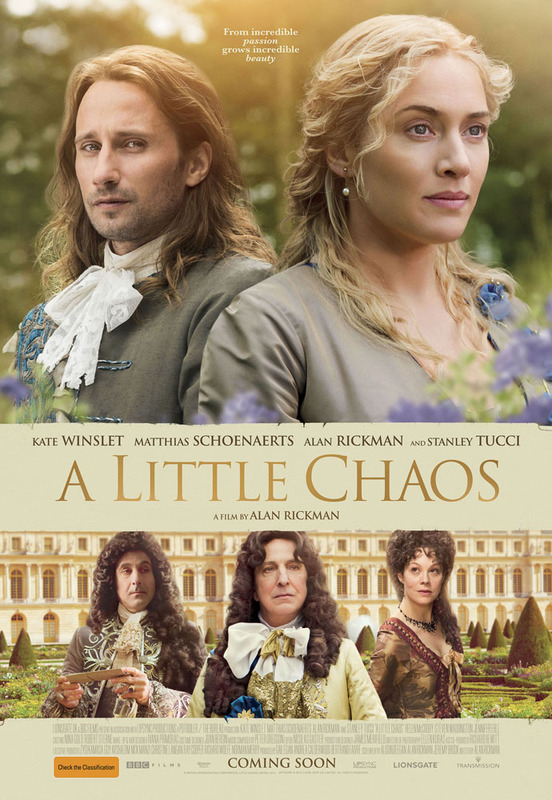 The flow of A Little Chaos is stilted and stagey, creating a somewhat stolid telling of what should have been something of a rococo romp. Oscar-winning Kate Winslet (The Reader, Titanic) and Matthias Schoenaerts (Rust & Bone, The Drop) provide dignified honesty to proceedings, but it’s a missed opportunity – far too controlled for anything as remotely exciting as ‘chaos’. Lots of heart and plenty of humour save this somewhat lightweight, albeit humane, story of a serious subject – long-term illegal immigration. The fabulous Omar Sy (The Intouchables) and the usually scatty Charlotte Gainsbourg (Melancholia, Nymphomaniac) are surprisingly convincing in their evolving relationship (the heart of the film) but writer/directors Olivier Nakache and Eric Toledano (The Intouchables) spread the material too thinly in an attempt to cover too many stories. Australian actor Damon Gameau (Balibo, Patrick) does a Super Size Me-style expose on sugar. Is it the 21st century tobacco as the sugar industry follow the same pattern of stalling, hiding and confusing results of the impact of sugar (and particularly fructose) on our health and well-being? 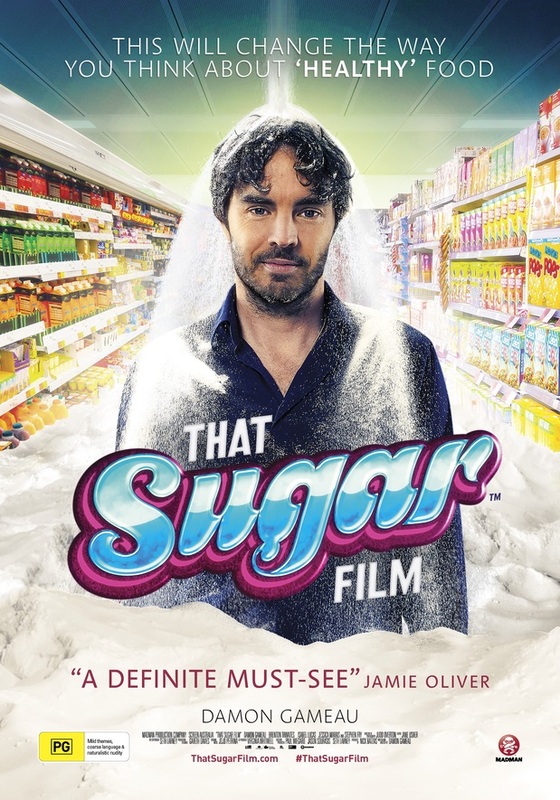 That Sugar Film is a fascinating documentary and highly entertaining, as well as being a little scary. A quiet, respectful fly-on-the-wall documentary following newly appointed creative director Raf Simons at Christian Dior prepare for his first haute couture show. 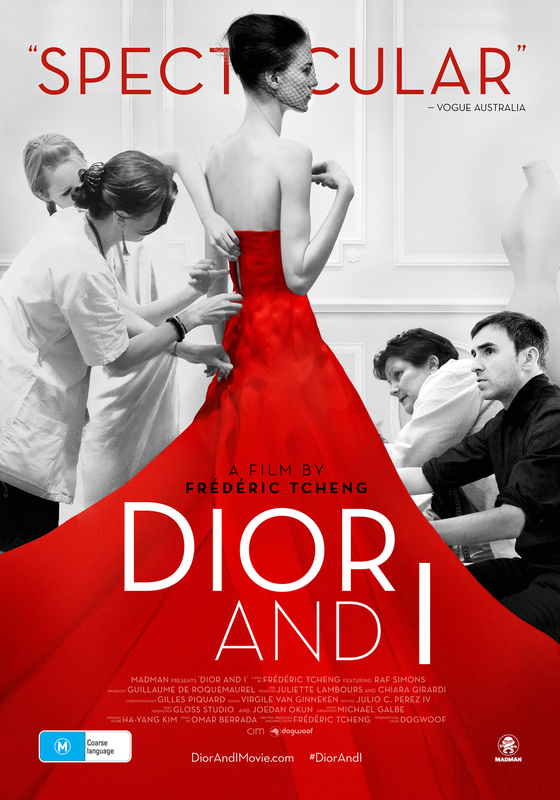 As much a film about the people behind the scenes, Dior and I is a wonderful insight into the goings-on at a major fashion house. Or at least as much as we are allowed to see. It’s all incredibly polite, which makes you wonder…. But why not? It is Dior, afterall. Like the brand itself, the film is stylish and graceful.